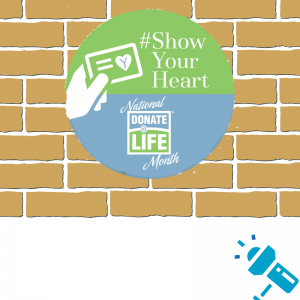 #ShowYourHeart for National Donate Life Month this April and help shine a light on donation! 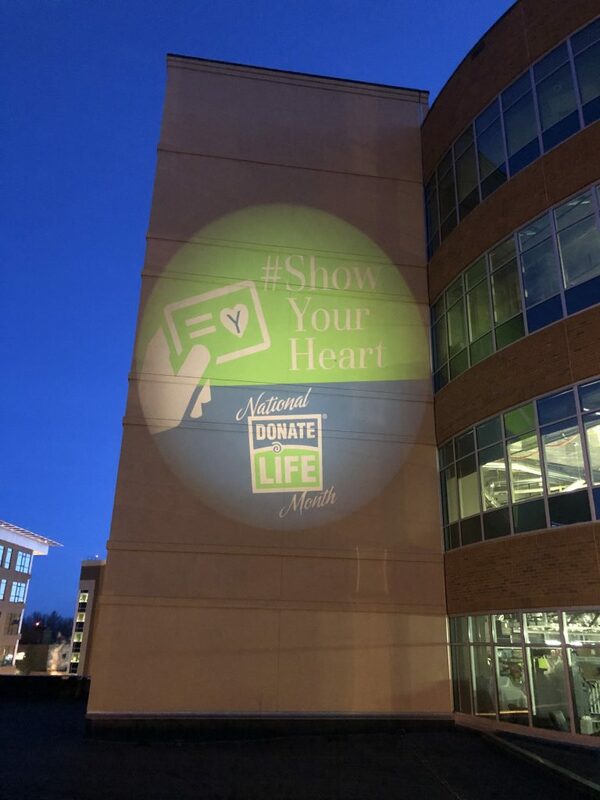 As part of the #ShowYourHeart Project, Donor Alliance teamed up with area hospitals and organizations to help spread awareness for organ, eye and tissue donation. You’re encouraged to get involved and show your support for the nearly 2,000 people in Colorado and Wyoming waiting for a lifesaving transplant. 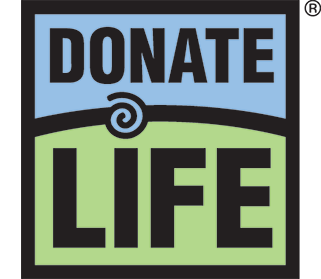 NEW this year: Participating hospitals across Colorado and Wyoming will be awash with blue and green lights throughout National Donate Life Month to raise awareness for organ, eye and tissue donation! Community members are encouraged to view the #ShowYourHeart Illumination Project. Be sure to snap a picture of the light and share it on social media with #ShowYourHeart! Want to shine a light on donation at home? 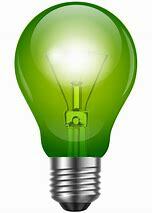 Take part in the fun on National Blue & Green Day by swapping out your regular outdoor lights, for blue and green ones! #ShowYourHeart with us! Decorate hearts with personalized messages of inspiration to show appreciation for those who have signed up to become organ, eye and tissue donors and inspire others to do the same. Decorate your heart and share on social media with #ShowYourHeart. You’re also encouraged to share why organ, eye and tissue donation is important to you! Decorated hearts can be saved and redeemed for free promotions. Simply take your decorated heart, or show the heart on your driver license, to a participating restaurant or movie theater for special discounts. 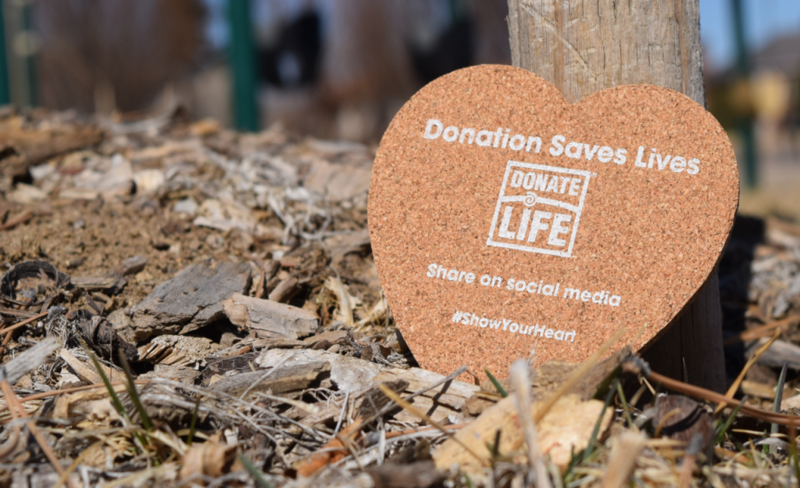 Remember, you can ALWAYS #ShowYourHeart and your support year-round by signing up to be an organ, eye and tissue donor at DonateLifeColorado.org or DonateLifeWyoming.org. Then share your decision with your family and loved ones.